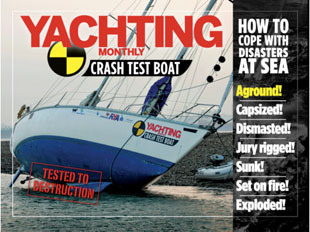 In the Summer issue of Yachting Monthly (on sale on Thursday) we detail our attempts to make our 40ft Crash Test Boat safer in a dismasting. Watch the full video below to see exactly what happens when a mast breaks. How fast does it go? How easy is it to recover? What’s the most difficult bit? In the August issue we will analyse the best options for creating a jury rig from the remaining spars.